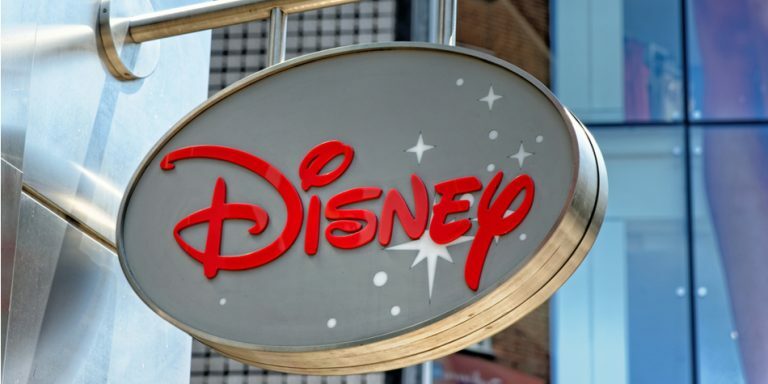 Could Walt Disney Co (NYSE:DIS) really be in the market for a company like Twenty-First Century Fox Inc (NASDAQ:FOX, NASDAQ:FOXA)? According to recent reports, the answer is yes. It has sent shares of FOX up 12.4% this week, FOXA up 13.2% and Walt Disney stock up 3.8%. As reports have it, talks are not currently ongoing between DIS and Fox. However, the discussion is for Disney to buy most of Fox’s entertainment businesses. Its sports and news coverage would be off the table due to antitrust issues. It would leave Disney with monstrous studio and TV show production units. Most notable are films and franchises like Avatar and X-Men. While these would provide a nice boost to studio revenue over the next few years, consider the long-term picture of Disney’s move. If Disney were to take out Fox, not only is that a main competitor, but it makes DIS the true king of content. Given that content distribution is seeing a major shake-up, Disney is looking to amass as large a piece of the content pie as possible. Because it’s not planning to buy all of Fox, the deal size has been estimated between $20 billion and $30 billion. No matter what Facebook Inc (NASDAQ:FB), Apple Inc. (NASDAQ:AAPL) or Netflix, Inc. (NASDAQ:NFLX) do on the content side of things, Walt Disney stock will stay relevant for decades to come. But consider Disney’s earlier move, which was to separate itself from Netflix and build out its own streaming platforms. This will take several years and the rollout will likely be slow. But don’t forget, it owns a 30% stake in Hulu. The other owners? Comcast Corporation (NASDAQ:CMCSA) owns a 30% stake; Fox Entertainment owns a 30% stake and Time Warner Inc (NYSE:TWX) owns a 10% stake. To my knowledge, the 30% stake could be included in a Disney-Fox deal, meaning Walt Disney stock may control 60% of Hulu. If Disney could build out Hulu, it could become a serious competitor to Netflix. Other Avenues for Walt Disney Stock? Obviously acquiring a company like Netflix is off the table. Maybe a few years ago, that would have made sense. But given NFLX’s $85 billion market cap (and a premium on top of that), plus its huge free-cash flow burn, there’s no way Disney or its shareholders would do that. Other acquisitions that come to mind? 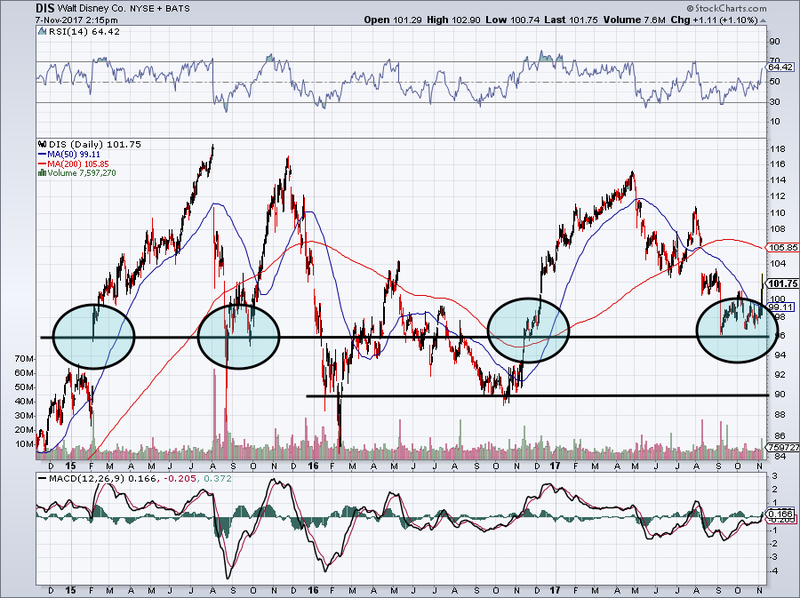 Twitter Inc (NYSE:TWTR) wouldn’t be as crazy as it seems. Twitter has become the de facto news outlet, ranging from earthquakes, sports games and political events. I’m not saying a Twitter buyout will happen, but the social media’s breaking news aspect and push into live-streaming video makes it an interesting play. At “just” $15 billion, it would be affordable, particularly given its advertising potential. Another play is Activision Blizzard, Inc. (NASDAQ:ATVI). With a $45 billion market cap, it seems unlikely. But the unit has strong revenue growth, is profitable and it is well-positioned in the quickly growing gaming industry. E-sports leagues make ATVI even more attractive, as does its position in mobile gaming. This would give Disney a unique angle for future growth as well. One could argue that DIS is best off licensing its content to game-makers like Activision or Electronic Arts Inc. (NASDAQ:EA). But it’s clear the gaming world is expanding, not contracting. By getting in now, it could leave plenty of upside for DIS stock. We have a three-year chart that highlights the importance of the $96-level, which continues to act as solid support. Earnings on Nov. 9 could either solidify this level or render it completely meaningless. As an investor, let’s hope it’s the former. I’ve added to my long position a few times below $100. To be honest, Walt Disney stock has not traded all that well. In fact, the stock has been downright disappointing over the last few years. Long-term shareholders are still happy, so long as they’ve been patient and M&A is obviously getting them excited. Should these talks heat up again, I would think it would be beneficial for DIS stock. I wouldn’t do any more than a starter position near $100 at this point and I would wait for clarification via the earnings call. Either shares will be cheaper than they are today or they’ll rally and we’ll have a better idea of the future of Walt Disney stock. Article printed from InvestorPlace Media, https://investorplace.com/2017/11/walt-disney-co-has-more-buyout-options/.